Horizontal splitter where the wood is pushed through a vertical knife. 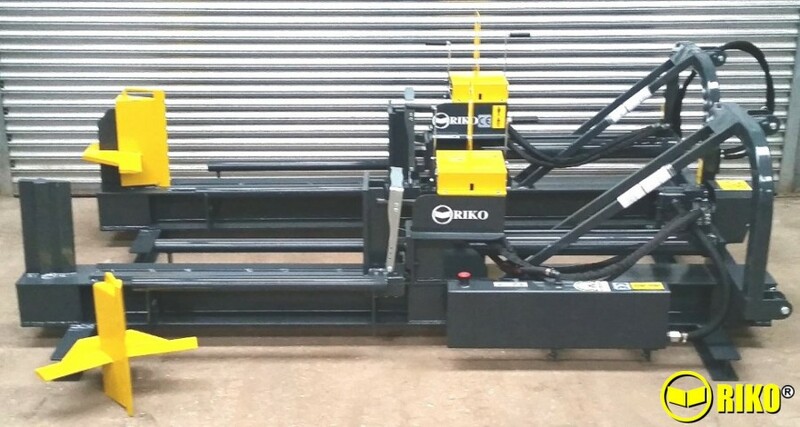 Ideal for splitting longer lengths into Billets or for splitting multiple ‘rings’ in one action. 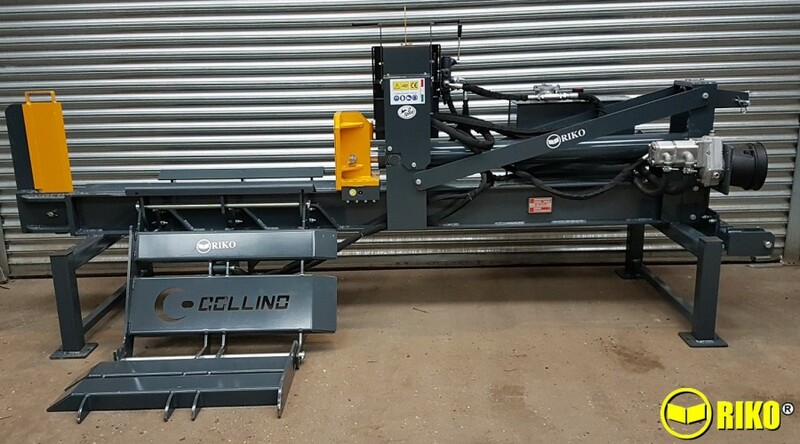 A truly versatile log splitter for splitting larger lengths of timber or for splitting a row of ‘rings’. The wood is pushed through the 2 or 4 way knife, so ideal for Billeting long timber. 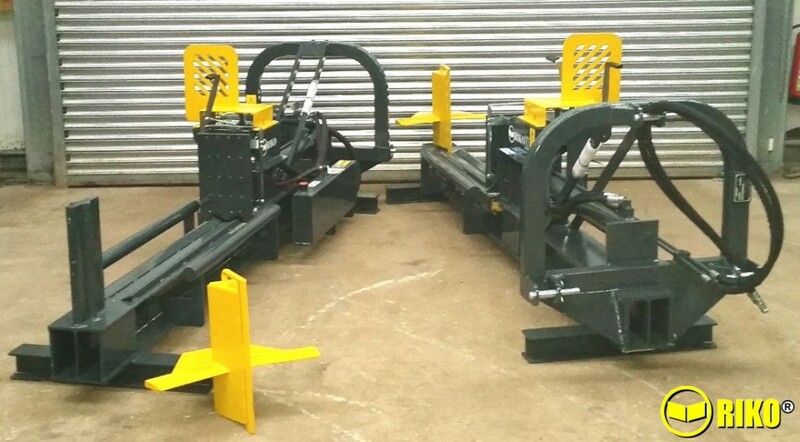 The splitter can be used on the ground or help in the air on the tractors linkage or we can supply the splitter on legs so split timber falls straight into a bag or box. 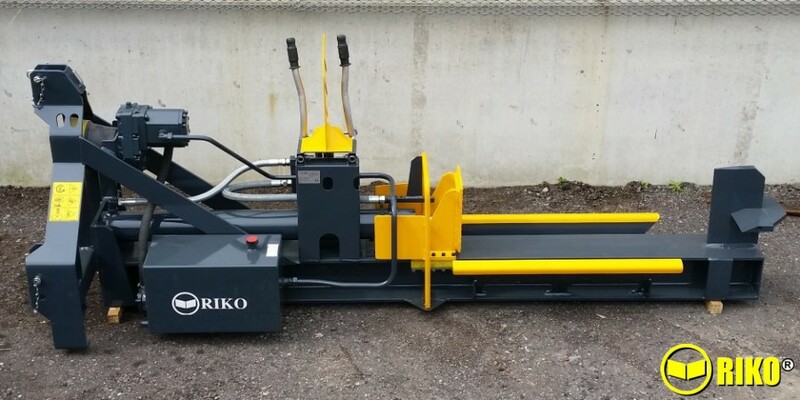 Power options are electric, petrol, diesel, Tractor PTO or Tractor hydraulics. 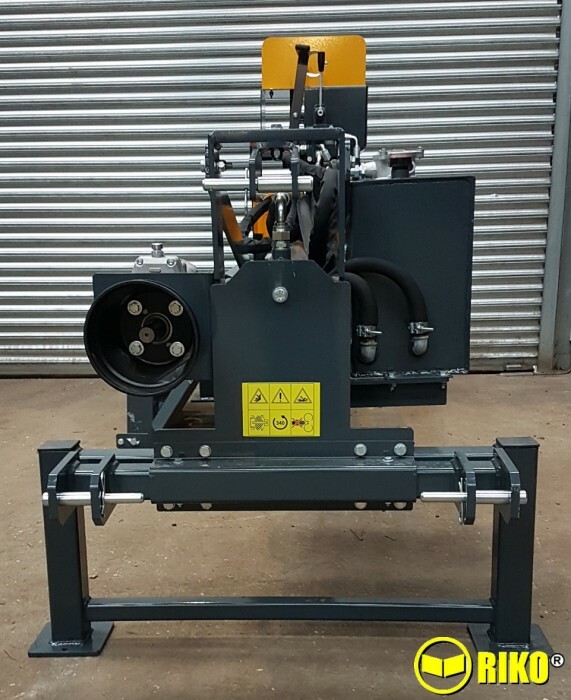 Horizontal log splitters are ideal if you have large diameter timber that is too heavy to lift and position vertically. 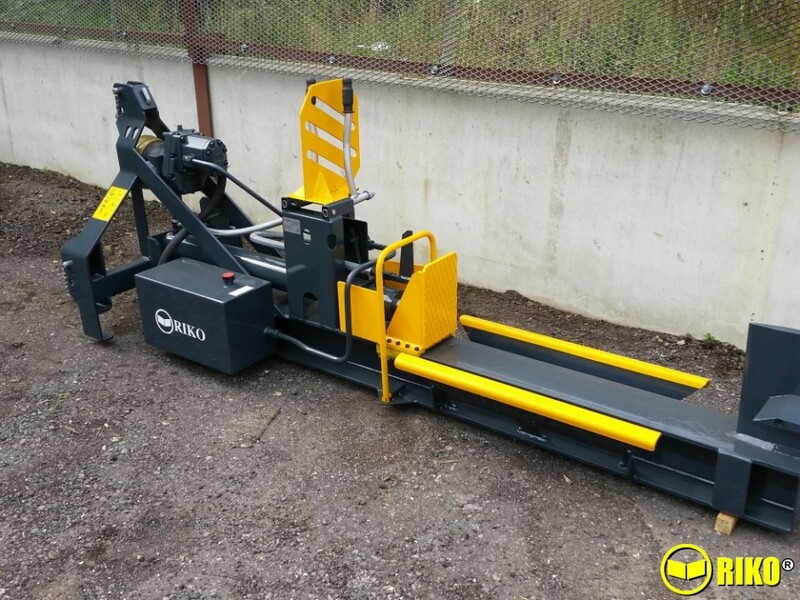 Options for loading include a simple ramp for rolling the log on, hydraulic winch for dragging and lowering the log on or hydraulic lift for lifting the log on. 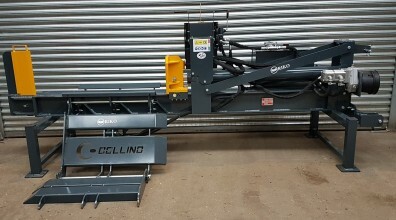 Other options include hydraulic height adjustable 4 way knife or drop on 4 way knife. There are two standard ranges: one will take a maximum log length of 27 inch / 70cm whilst the other will take a log length of 43 inch / 110cm. We can supply longer models in increments of 50cm. All models come as standard with a single vertical knife. The electric and engine driven models come mounted on a solid axle with a towing eye.